[Updated with Minister's statement] The police have confirmed the death of 30-year-old Morlan Steede following last night’s shooting in Pembroke. 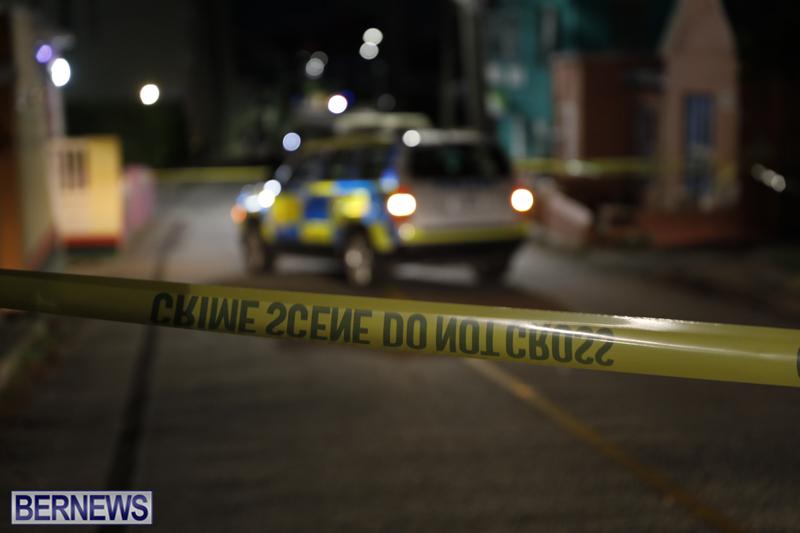 A police spokesperson said, “The Bermuda Police Service can now confirm the death of 30-year-old Morlan Steede, who died as a result of a firearms incident that took place on One-way Deepdale, at 9:40pm on Friday evening. “Details are still emerging, but it appears that the deceased was on One-way Deepdale when a male on a motorcycle discharged his firearm resulting in Mr. Steede being shot. He was taken via ambulance to the hospital where he was pronounced dead at 10:32pm. “A family liaison has been assigned to the family and an investigation into the murder has commenced under the direction of Inspector Michael Redfern. “Police are appealing to witnesses who might have seen anything suspicious to contact police at 2950011 or the confidential crime stoppers hotline number at 800-8477. Update 11.37pm: Minister of National Security, Wayne Caines said, “I wish to extend my sincerest condolences to the family and friends of the victim. Any loss of life in such a violent way is truly tragic. As it relates to this shooting death, what was so disheartening was the fact that there were several young people who witnessed the incident. “I have been briefed about the ongoing investigation by the Bermuda Police Service. And I have spent much of today and last night in the area lending my support and comfort to those affected. The Ministry of National Security also worked to coordinate assistance for those in the neighbourhood, by providing counselling services by our Crisis Coordinated Response Team [CCRT]. An area church was used as the community hub to offer support and grief counselling.